Currently trading from Braishfield through their website, zero waste store Lemon & Jinja now have a premises opening early March. In the meantime, they are crowdfunding! and would appreciate kind donations to help fit out the unit as best as they can. All money raised will go straight into the business to help fund for fittings and fixtures, as well as enabling them to stock a wider range of products. with exactly how much you need. A New Service for Romsey Bike Owners - now that the bike shops have closed. "You're supposed to drink from the waterbowl….not sit in it !" ​Officials at TVBC have issued an urgent plea to residents after hedgehogs were killed with rat poisons in West Wellow. Numerous reports of the animals being poisoned in Gazing Lane were received by Test Valley Borough Council during the last week. The borough council said that as well as the suspected poisoning, there were comments on social media which suggested that a dog had been inadvertently poisoned, although it was not fatal. It believes that rodenticides nearby may been the cause of the hedgehogs’ deaths. Besides being directly toxic to the mammals that ingest them, including dogs, cats, and humans, many rodenticides present a secondary poisoning risk to animals that hunt or scavenge the dead corpses of rats. A spokesperson from the RSPCA science team added: "Rodenticide could pose a threat to hedgehogs or any other wild animal they come in contact with; in simple terms, the poisons act by disrupting the blood clotting process- the bodies’ normal repair process-, causing haemorrhage and eventually killing the animal by blood loss and associated effects. "However, users of rodenticide are legally required to take all reasonable precautions to prevent access to the poison by domestic and non-target wild animals as well as children." Hedgehog corridors: Hedgehogs travel on average a mile a day and may be impeded by walls and fences. You can help by using fencing with gaps, removing a brick from the wall, cutting a hole in your fence or digging a tunnel underneath. Hedgerows: Swapping your wall or fencing for hedgerows provides a route in and out of your garden, as well as shelter for wildlife. Log or leaf piles: Provide shelter for nesting mothers, young hoglets and hibernating hedgehogs, plus as havens for invertebrates for hedgehogs to eat. Ponds: Provide a natural source of water and attract invertebrates for hedgehogs to eat. Make sure you slope the edges of the pond so that hedgehogs can climb out if they fall in! Hedgehog homes: Plans for building a hedgehog house can be found at www.hedgehogstreet.org and www.britishhedgehogs.org.uk. Anyone concerned about rats on their property can contact Test Valley Borough Council’s pest control team on 01264 368000 or 01794 527700. Further information can be found on the council’s website. ​If you are concerned about attracting and/or feeding rats rather than hedgehogs, then place a cover on the food bowl. ​ A hedgehog will get the lid off, but a rat can't. This really does work ! Despite the extreme weather, the beans and pumpkins are growing well at the Appletree Centre - thanks to those (especially Judith) who have helped water them. Tomato plants have now been added in pots. Unfortunately the peas have not done so well, as they have been too dry, but there were a few pods for those interested to taste them. In July, members of RYC 's 'Friendship Club' (5-8 yr olds) recently made some bird scarers from old CDs to keep the birds away. We have now hung them across the garden. Earlier this year, 'Transition Town Romsey' received a request from 'Romsey Young Carers' to help them start a vegetable garden at the Appletree Centre, where the group meets. There had been a couple of beds at some stage, but they had become neglected over time. Keen to help a new generation learn about growing their own food, members of TTR have been helping transform the plot into a working vegetable garden. Donations of compost, manure, seeds, and Waitrose 'grow boxes' have been received, and over the past three months the children have learnt how to sow seeds and then plant them out once grown. 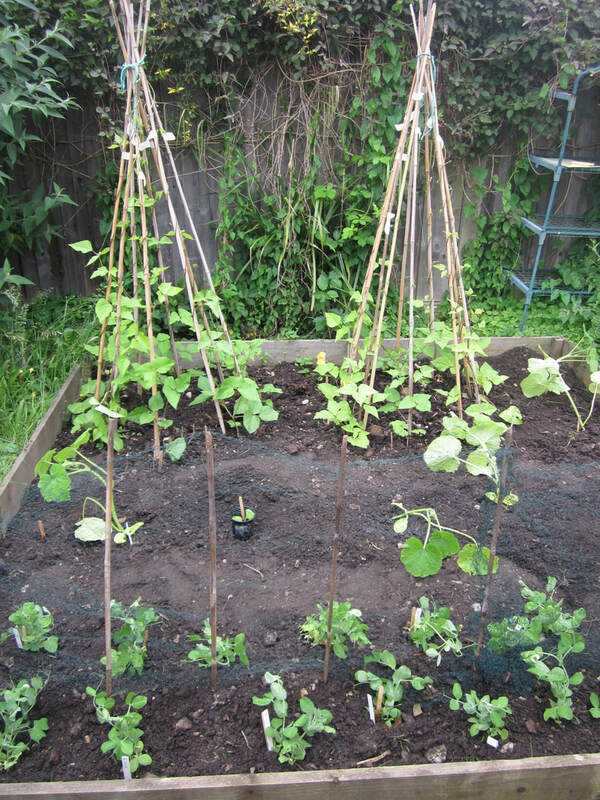 The youngest children (5-8 yr olds) have planted peas and pumpkins and the 8-12 yr olds have planted runner beans. TOLLS on Southampton's busy Itchen Bridge are set to be scrapped as early as the summer for electric vehicles in a bid to reduce pollution in the city. But campaigners say this is not enough, suggesting a pedestrianised city centre is the only way Southampton can battle its air quality problem. In response to the call, Cllr Hammond said: “We have trialled vehicle-free areas as part of the Clean Air Strategy. “Clean Air Day on the road in front of St John’s School was very successful, with the school children enjoying playing in the road. “But we would be more than happy to consider different options in the future.” As reported, the toll scrappage is expected to cost the authority around £32,000 each year in lost revenue. However this lost cash is nothing compared to the millions of pounds in fines which it faces if the city’s dangerously high pollution levels are not slashed, civic chiefs say. ​Although Romsey is not one of the trial stores, Waitrose have announced that single-use takeaway coffee cups will have been removed from all stores by Autumn 2018. Why not make a start NOW by taking your reuseable cup along to the store when you want a free coffee. ROMSEY could be about to have a new electric vehicle charging point. Hampshire County Council is to create 40 electric vehicle charging sites across the region – but they will only be available to public sector bodies. At its Buildings, Land and Procurement Panel meeting, officers disclosed plans to install the points in an effort to get more renewable vehicles on the road. However, it will only benefit council-operated transport, as the authority looks to bring in more electric vehicles (EVs) into its fleet. The points have been up and running for just over a month, but the environmental impact is already being felt. The free charging bays have saved 205KW in their first five weeks of operation – equivalent to saving 143 kilograms of carbon dioxide emissions from the local atmosphere. There are six charging bays in the airport’s public car parks – four in short stay and two in priority parking. With no extra charges for this service, drivers simply hook up to a charging point and pay normal parking rates. Local drivers are encouraged to drop by, park in an available bay and recharge their vehicles while enjoying a coffee from the comfort of the terminal building, just three minutes’ walk away. This unique cycle themed cafe and workshop will be open seven days a week, offering coffee, cake and snacks, from locally sourced producers for cyclists, walkers and visitors alike. So far over £275,000 worth of funding and in-kind support has been raised but help is needed to raise the final £75,000. Winchester residents have the opportunity to become a bronze, silver or gold member of the Handlebar Cafe. Members will receive many benefits including discounts and access to special member only events. You can sign up for founder membership and find out more at www.handlebar.cafe. A NEW recycling initiative has been launched to make better use of coffee cups – a UK first. Packaging manufacturer, Huhtamaki, have partnered with Gosport Borough Council to trial a new recycling initiative which will see paper cups and lids recycled and turned into new products. The launch of the scheme came ahead of calls from from the House of Common’s Environmental Audit Committee for all disposable coffee cups to be recycled by 2023. The committee is calling on the Government to introduce a 25p charge on coffee sold in disposable cups – the so-called ‘Latte levy” – with the money raised used to improve the UK’s reprocessing facilities and “binfrastructure”. Some shops already give discounts to customers who bring their own cups but these only represent around one or two per cent of the coffees purchased each year. The committee is also calling on the Government to penalise producers who make packaging that is difficult to recycle. The Gosport scheme, will see two specialist cup recycling bins for paper cups and lids placed at Gosport town hall and the leisure centre, both of which are owned by the council. Huhtamaki will then collect the waste ensure it is recycled rather than going to landfill. New products including garden furniture, park benches and flower tubs will then be made from recycled materials. From 1 January 2018, TVBC carton banks will also be able to collect plastic coated coffee cups for recycling – so get collecting ! Are you blown away by the awesome power of the wind? 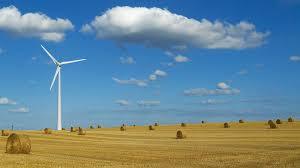 ​Visit ﻿1﻿0:10's Wind Dial﻿ ﻿to see how we're doing as a country & add your voice calling for more wind generated power. One of the current campaigns of ‘Friends of the Earth’ (FOE) is Air Pollution. They have developed a ‘Clean Air Kit’ to help people uncover what air pollution is like near where they live. Several members of TTR are taking part in this study, and we are looking for more people to take part – ideally in different parts of Romsey. . The kits are now available for dispatch from FOE. 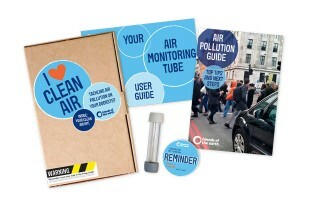 Go to www.foe.co.uk/go/clean-air-kit to order one. The kit comprises an air-monitoring tube, which participants have to put up for at least two weeks, and then send back for analysis. It also includes tops tips for avoiding exposure to air pollution and how people can take action to clean up their dirty air. FOE says that the analysis is the most expensive part of producing the Clean Air Kit, and so they are asking participants for a minimum donation of £15. If you would like to take part but are unable to afford the suggested donation, please contact us, as we may be able to help out with the cost of putting up tubes in areas not already covered. We now have the results of the 5 test tubes which TTR members have put up around Romsey. The European Union has set the legal limit for NO2 pollution at an annual mean of 40µg/m3. This means that during the time the air monitoring tubes were up, NO2 pollution levels at two locations were above the level at which the annual legal limit is set. The highest being outside the Plaza Theatre at the roundabout. Interestingly, despite the press about high air pollution in Southampton, none of the tests done there were above the legal limit. The only other place in this area with an above average level was Lyndhurst. However, this is a snapshot of the air pollution for the place and time being monitored. Lots of things affect pollution levels over the course of a year, such as variations in the weather. This means that annual average results could look very different from your snapshot. Air pollution levels also vary greatly depending on how close you put your tube to where the pollution comes from. So there’ll be a reduction in levels even a few metres away from the source. Friends of the Earth state that they do know that most areas of the UK are currently failing to meet legal limits set by the EU. And that short term and long term exposure to NO2 can have significant negative health effects. Cancer, heart disease and asthma have all been linked to poor air quality, and it’s usually the most vulnerable in society, like children, who are at the most risk. We need urgent action to clean up our air and cut the number of vehicles on the road that are pumping out harmful pollution. See www.foe.co.uk for more information about air pollution.